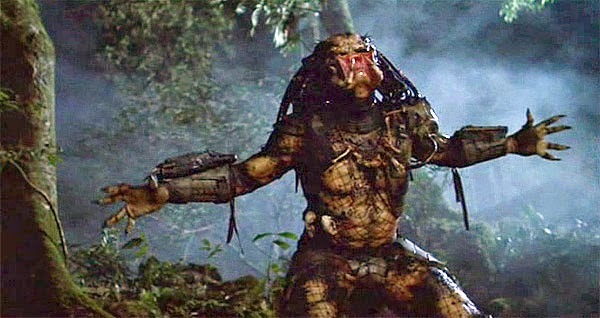 At long last we have our first good look at the ridiculous costume Van Damme wore in Predator. Can you handle it? We talked before about how Jean-Claude Van Damme was supposed to play the alien creature in Predator. In the end, he quit and Kevin Peter Hall replaced him. Recently, the Stan Winston School released a video with never-before-seen footage of the making of the original costume. Steve Johnson and Matt Winston, the son of late special effects legend Stan Winston, talk about the original design of the creature, the problems with it and why Van Damme quit. What do you think of the original Predator costume designs? I saw photos somewhere last year of that early Predator concept. That would've been impossible for anyone. Funny that Van Damme thought the creature looked that way. I loved the Predator movie, and poor Van Damme, he simply didn't get it. The creature was awesome - except for that mouth, omg - run for your life! I know! The fact that he got so mad makes me laugh. Very impressive Jeremy. Thanks for sharing! I had no idea he was considered for this role. What a scary looking creature.